Football Federation Australia and its sponsors are set to benefit from the unprecedented interest from the FIFA World Cup, with a study by Octagon revealing fans of the world game are more engaged by sponsors than in any other major sport. While the Socceroos departed in the group stages of the competition, the study revealed significant growth in fans of football in 2014, with 4.9 million Australians describing themselves as “avid” followers, up from 2.7 million in 2012. And while 64% of fans reported the World Cup as their favourite format, the A-League returned a strong result, with 39% of fans listing it as one of their top two competitions, with 91% of fans watching the league in the previous twelve months. The study found that 33% of football fans are likely to buy a sponsor’s product, compared to cricket (27%), rugby union (23%) and the Olympics (19%). 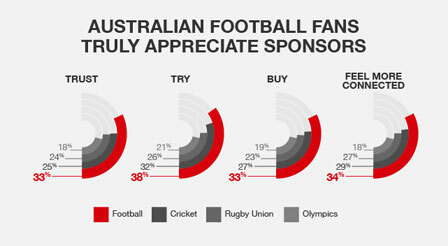 33% of football fans trust official sponsors, well above cricket at 25%, rugby union at 24% and the Olympics (18%). Any sponsor, be they associated with local or international formats of the game, as an existing sponsor or a newcomer, has the chance to step up, make a mark, and win the hearts and minds of these consumers. It’s a great time to be a sponsor of football in Australia. The challenge for brands is effective activation. World Cup sponsors include Coca-Cola, adidas, Hyundai, Sony, Visa and Emirates Airlines, and FFA sponsors such as Mondelez, Qantas, Nike, Westfield and NAB are also likely to receive a boost from the increased fan engagement too. The data highlighted a market in the midst of huge growth with 56% of fans have attended a live [A-League] match in the past 12 months. When you combine this with the fact there are 4.9 million highly passionate and engaged individuals ready to embrace sponsors, the opportunity in football is obvious. Interest in the 2015 Asian Cup, to be held in Australia early next year, is also high, with 76% of respondents saying they planned on watching the competition. 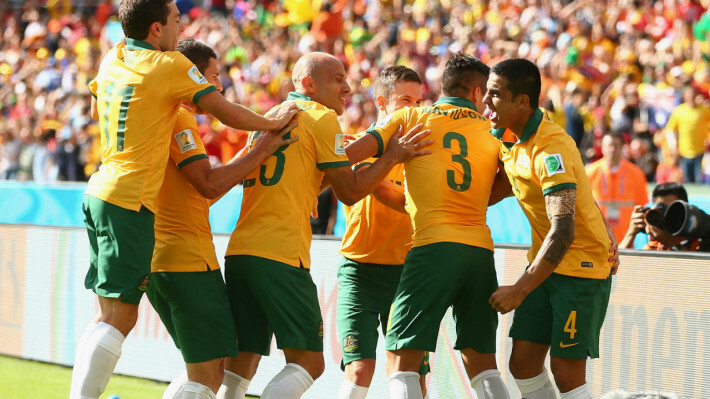 The survey took place before the World Cup, therefore interest in the Asian Cup would likely grow off the back of the Socceroos’ spirited performance. The FFA is currently in the process of locking in a naming-rights partner for the Socceroos ahead of the competition.